Sure, Dylan's "The Times They Are A-Changin'" can be attributed to any number of industries in the last few years, but none more suitable than the current BC wine market. Thanks to FreshTAP founders Mike Macquisten and Steve Thorp, 47 (and counting) BC pubs/restaurants are dispensing wine-on-tap from stainless steel kegs, continuously pressurized to eliminate oxidation. 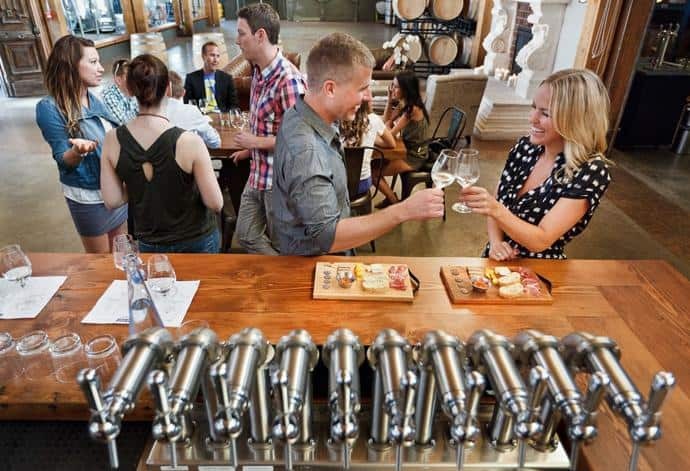 Since February 2011, the FreshTAP operations have been in full swing at Vancouver Urban Winery, where visitors are educated on how fine wines are received and packaged with FreshTAP's state-of-the-art wine-specific equipment. Up until then, by-the-glass pours have been a risky choice for consumers: is their glass the first or last pour? Tap wine guarantees these inconsistencies are a thing of the past. "Generally, winemakers don't want their wines on a by-the-glass list because they have no control over their product," says Macquisten. 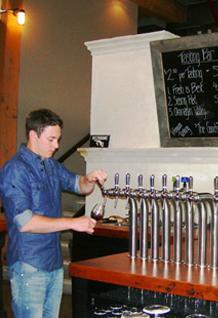 "With wine-on-tap, every pour is fresh and full-flavoured and tastes exactly how the winemaker intended it to taste." This carbon-neutral phenom is passing savings on to winemakers, establishments, and wine drinkers alike. But the positives don't end there. By eliminating product waste (no more spoiled half bottles) and packaging waste altogether – cardboard cases and corks, not to mention an absence of bottles to recycle – it's win-win-win, from environment to business to consumer. To date, FreshTAP and their clients have eliminated the need for over 61,000 bottles and eradicated more than 5,362 pounds of cardboard. And just as education was at the forefront of the screw cap movement, so too for tap wine. It's the backbone when it comes to building consumer confidence. "For most people, knowing it'll be fresh is the priority; they understand when a bottle is open and its shelf life," says Macquisten. "Now it's about making sure consumers know the packaging style. We like to joke that this is screw cap version 2.0." If you're looking for a tasting room and/or place to unwind after work – or any reason to sip and swirl for that matter – why not go directly to the source? 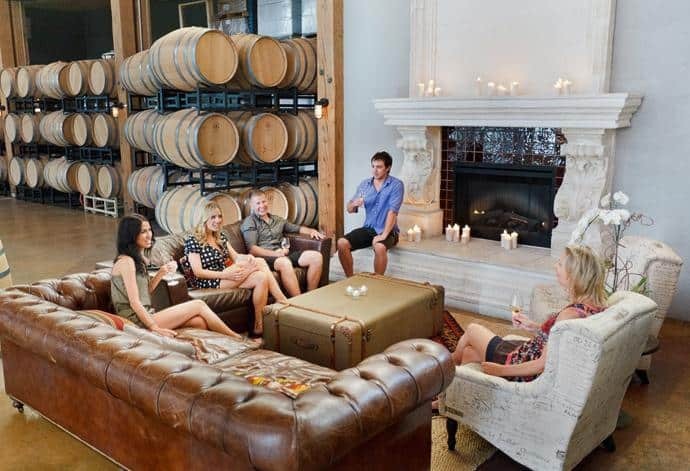 The Vancouver Urban Winery is housed in a unique '20s heritage building on Dunlevy and Alexandra, two blocks off Gastown in the Railtown district. Don't let the name fool you. It's not actually a winery, but a kegging facility. They manufacture, package, import and distribute wine for multiple brands (23 BC wineries and growing). It doubles as a fashionable special events space too, authentic in its offerings, from the wine (the tasting bar features 36 wine taps) to the loft-style décor, right down to the original exposed wood beams. 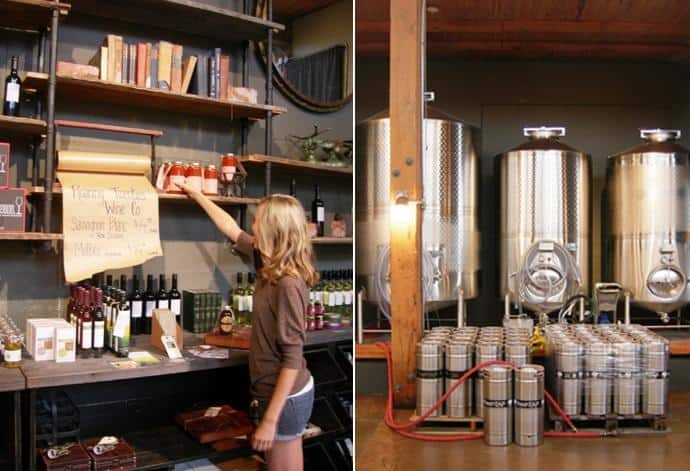 A boutique wine shop flanks the bar with local offerings including wine merchandise and FreshTAP wines to artisan foods and beverages. Drop by or reserve a spot (for six or more recommended) on a Thursday or Friday night for their Sommelier’s Choice Food & Wine Pairing. $24 will get you five wines paired with five foods. Wine sans food is $12 for the Tasting Flights (five wines), $2.5 (single tasting) and $3.5 (premium tasting). From the duos' venture into packaging and distributing comes their first bottled wine: the newly released 2011 Roaring Twenties Wine Co., a Malbec from Argentina, a Sauvignon Blanc from New Zealand. 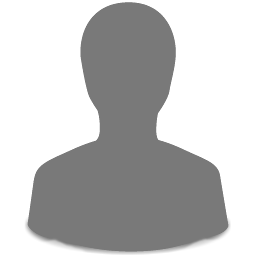 It's a house label symbolic of what they're all about – a couple of guys in their late twenties living their dream. "We started when I was 28, Steve was 29, our roaring twenties," says Macquisten. "We're living out our passion for wine and travel, visiting wineries and picking wines we like to drink." Roaring White: Alluring notes of tropical fruit, citrus and fresh herbs, a classic Marlborough Sauvignon Blanc. It's fresh and vibrant on the palate, brimming with flavours of pineapple, stone fruit, lemon zest and herbaceousness. Roaring Red: On the nose, it's pure, sweet ripe berries and black fruits, complemented by hints of mocha and spice. The palate is robust, fruity and complex with a smooth, chocolaty richness and subtle black pepper. The locally bottled, internationally imported, Roaring Twenties Wine Co. is available at various Vancouver wine merchants, $14.99.